What Makes a Good Beginner Viola? What Makes a Good Beginner Cello? 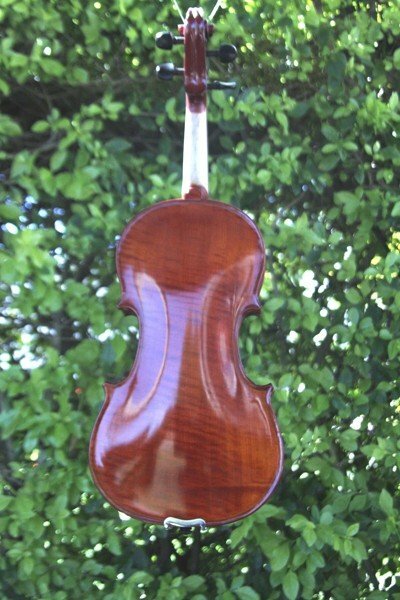 What should you look for in an advanced student violin? Tone: the quality of sound and resonance. Performance: the tonal volume and projection of the violin. Projection is its ability to carry the sound to the audience. Appearance: the style of timber, varnish and workmanship of the instrument. Set-up: how well is it kept (if second-hand), how well is it set up and fitted with good strings and other materials, for example its tail piece (should be carbon fiber) and the quality of the included bow. Below is a guide chart showing the age of the student (top ascending order) with the corresponding violin size. The Capriccio Violin is handmade from spruce timber and flamed maple for the body of the instrument. It has been set up by the professionals at Animato Strings and is fitted with genuine ebony fingerboard and pegs. 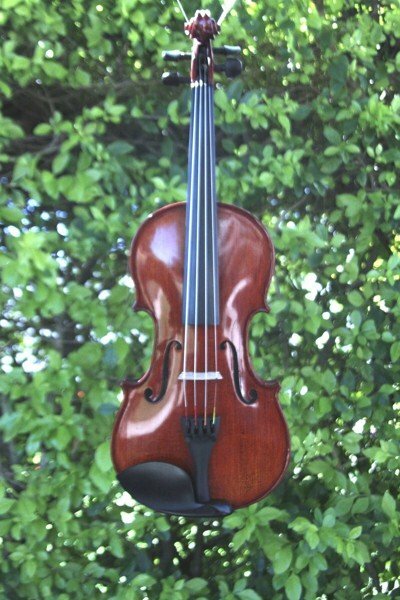 This instrument is a great contender for a advanced student violinist as it has a beautiful varnish, great workmanship, and warm and attractive tonal qualities. The outfit comes with an oblong case, a good bow, rosin and upgraded Maestro strings. Aesthetically, the colour of the finish on the Arco is a deeper golden to dark-brown whereas the Capriccio is lighter golden to red-brown. The Capriccio student violin is also hand varnished, which takes a longer time and the timber chosen for the Capriccio’s sides, neck, back and scroll show naturally occurring beautiful maple patterns from the wood. 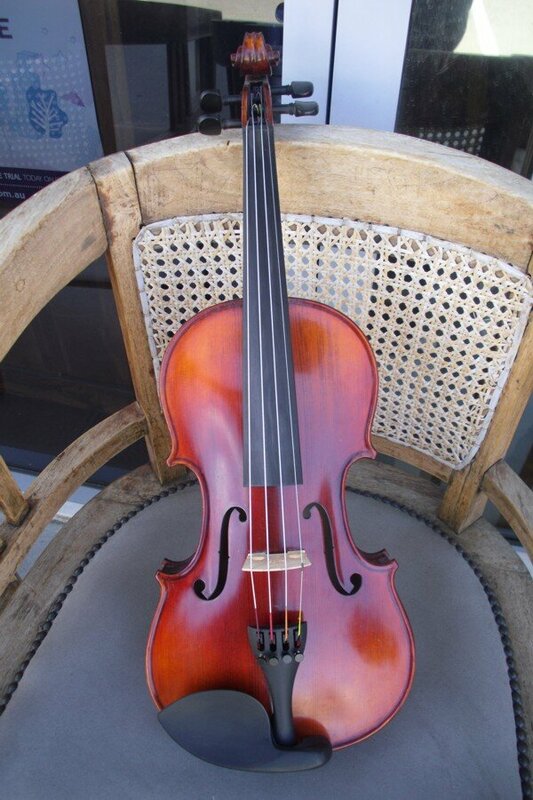 At $395.00, the Capriccio violin offers amazing value and quality for an affordable price. The Capriccio outfit comes with a 12-month warranty. Keep in mind that each instrument, no matter what model, has its own tonal personality and has been hand selected and adjusted for maximum tonal performance and playability for advanced students and beginners alike.